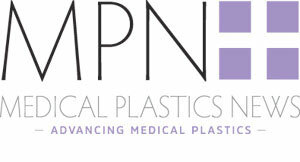 MPN is exhibiting at MD&M East. Come and see us at booth 162 on 12-14 June. MPN North America has been up and running for over a year, building on its close relationship with its US audience offering a publication specifically for that region – its news, its innovation, thought-leadership and medical plastics expertise. Members of the MPN team are at this year’s MD&M East event. If you would like to discuss marketing or editorial opportunities, head to stand 162 where we’ll be happy to talk about your content and marketing needs. Since its launch in 2017, Medical Plastics News North America has secured its place as a market-leading information source for the medical plastic and device sectors. There are bonus editions of MPN NA at the event. MPN North America provides a multi-platform hub for anyone working in or targeting this sector. It is a place to discuss, promote and learn. With quality readers – senior decision-makers from the world’s leading OEMs – it offers increased opportunities for readers and advertisers to communicate with the wider medical device industry. For more information contact Gaurav Avasthi or drop onto booth 162 at MD&M East where a member of the team will be happy to speak to you.